Fired For Speaking Another Language: Is Language and Discrimination Real? If you have been fired for speaking a language other than English in the workplace, you may have a wrongful termination case on your hands. Fired For Speaking Another Language: Is Language and Accent Discrimination Real? In the past two years, complaints of discrimination and harassment against non-English speaking employees in the workplace have been on the rise, and so has been discrimination based on national origin, race, skin color, ethnicity, birthplace, culture, surname, ancestry, and accent. And the list goes on and on. There is no denial at this point that language and accent discrimination is more real than ever in Los Angeles and elsewhere in California. And today, we brought our Los Angeles wrongful termination attorney Jeffrey Rager to spell out when getting fired for speaking a language other than English is illegal. Are English-only requirements even legal? Many workers in California wonder if language fluency requirements are even legal under the state’s employment and discrimination laws. In most cases, they are. But there are cases when you can sue an employer for enforcing the English-only rule in the workplace or firing employees for their use of foreign language or accent. There are many job positions in Los Angeles and elsewhere in California where it is not illegal to list “English fluency” as one of the job requirements. This is because there may be legitimate reasons why employers want their employees to speak in fluent English and/or in a way that is easily understood by their supervisors, coworkers, and customers. However, there are cases when language and accent rules go way too far and cross the boundaries of law. That is why courts in California take such cases seriously to rule out that English-only and other language requirements in the workplace are not unlawful. This is also why it is highly advised to be represented by a Los Angeles wrongful termination lawyer to be able take legal action against an employer who terminates your employment because you spoke a language other than English or used a foreign accent (given that the firing was discriminatory in nature). ‘Fluent in English’: a discriminatory requirement or not? It would be wrong to assume, however, that requiring employees to be fluent in English is discriminatory in 100 percent of all cases. Under the Equal Employment Opportunity Commission (EEOC), language and accent requirements may vary from job to job. For example, our best discrimination attorneys in Los Angeles explain that requiring both the customer service employees and mechanics to speak fluent English might not be legal, as the former employees’ fluency in English is not relevant to their job duties. 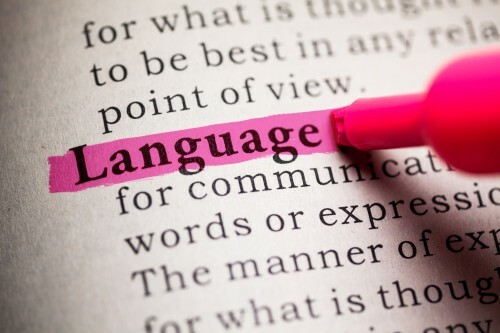 To summarize California’s anti-discrimination laws regarding language and accent in the workplace, any rule regarding language and accent adopted for discriminatory reasons and/or being enforced in a discriminatory way is against the law. Our Los Angeles wrongful termination attorney from the Rager Offices Law explains that enforcing the English-only rule only to prevent Latino workers from applying for a job would not be legal. Similarly, enforcing language restrictions against workers who speak Indian but not against workers who speak Chinese would be discriminatory. In a nutshell, if language and accent requirements are adequate to promote and safe and efficient operation of the business, they cannot be considered discriminatory (though there may be exceptions). For example, if you were fired for using Spanish language in an emergency situation (therefore, English-speaking and others were not able to understand you), firing you for failing to ensure safety may be reasonable. But if you were fired for speaking Spanish during a meal break even though there is the English-only rule in the workplace, you may have a wrongful termination case on your hands. Our best wrongful termination lawyers in Los Angeles explain that forbidding employees from speaking a language other than English during breaks might not be legal. Contact the Rager Offices Law to get a free consultation about your particular case. Find out if you have been wrongfully terminated or discriminated against in the workplace after our attorneys give you a free case evaluation. Call our offices at 310-527-6994 or complete this contact form. SE HABLA ESPAÑOL.